"The Most Fun Tours In Chicago!" Hi, my name is Steven Beier and I created Steve's Segway Tours t o provide you with absolutely the best possible experience on your visit to Chicago. Steve's Segway Tours has been in business since 2007. I don't want you to miss out on the most fun thing to do in Chicago because we have been so busy giving tours and talking to customers like you that we haven't ever fully "completed our web site with pictures everywhere, maps, tons of testimonials, etc.. So please bear with us, as this will hopefully all be done soon. 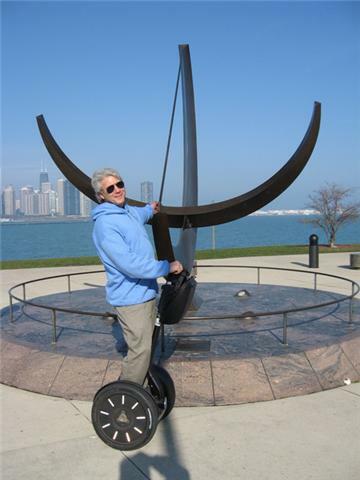 As you navigate through the various sections of our web site, try to imagine really cool pictures of people having a great time on one of our Segway tours of Chicago. You may want to learn About Us or About Segways -- how they work, or maybe a little of their history. Please go to our Tour Info page to learn a little about all the wonderful tour options we have - Lakefront/Museum Campus Tour, Architecture Tour, Fireworks Tour, North Tour, Haunted Chicago Tour, Riverwalk Tour and more. Make sure you learn about electric and fitness Trikkes on our Trikke Chicago page. Looking for a fabulous and fun team building experience? Then check out the Steve's Segway Challenge and Steve's Segway Scavenger Hunt. Have an Event? We'll happily travel to you with Segways and/or Trikkes, set up, and provide fun rides for your attendees of all ages! 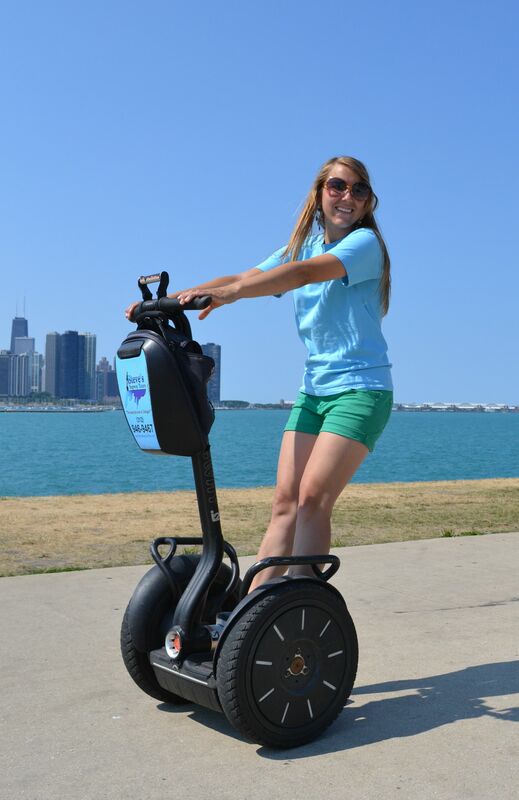 Want to use our Segways and talented staff to advertise/promote your products or services? Then Segway Promotions are for you. But no matter which of our web pages you choose to examine or skip, please make sure you click on Why Choose Us, and learn why Steve's Segway Tours are clearly the best Segway tours in Chicago. By the way, we are open all year round and we offer gift certificates that are great holiday and christmas gift ideas, especially for that "hard to shop for person" you know and love. We also offer private tours. And don't forget to check out Steve's Recommendations - a web page which contains info on, and links to some of my personal favorite local artists, restaurants, products and services, as well as some extremely useful and relevant websites for your Chicago vacation or visit. Okay, that's it from me for now. Any questions? Try our FAQs webpage, or you can Contact Us.